Note: First come first served basis. There is limited availability. 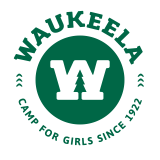 This two day, one night experience includes tubing down the Saco River, Waukeela’s favorite camping foods, campfires, s’mores, moose spotting, star gazing and more! Also includes a special “Wau-kamping” t-shirt. $125 includes toiletries bag filled with shampoo, conditioner, soap, toothbrush, toothpaste, bug spray, hair bands, sunscreen, laundry bag, hair brush, and flashlight. Will be waiting at camp upon arrival. Please note that if flying to camp, arriving and departing from Portland, Maine (PWM) airport is preferred as it is closer to camp.